All the staff were amazing and engaging! Home » » All the staff were amazing and engaging! All the staff were amazing and engaging. It’s not often that you can seek any sort of medical treatment and not only get taken care of but find new friends. 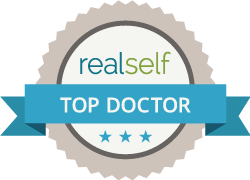 Dr. Chynn is a very knowledgeable and professional physician. He takes great care and pride in his work, and wants you, the patient, to be comfortable and informed. My procedure was very smooth and virtually painless. LASEK s a procedure that is not only one of the most advanced procedures, but also one of the safest procedures. There’s no cutting, there’s no flap after surgery to worry about getting knocked loose. The procedure itself takes only a few minutes, and then you can see. If you’ve ever thought of getting your eyes corrected, see Dr. Chynn. I was not a good candidate for the other available procedures, but Dr. Chynn was able to solve my problems!